The oft-commented relationship between Ufology and the Military has always been a subject of conversation worldwide. It is hardly a mystery that this relationship has always been marked by mutual mistrust, except for honorable exceptions that always prove the rule, and show us that some military men have indeed paid special attention to the subject of UFOs and have even taken the chance to make public comments to the displeasure of their superiors. 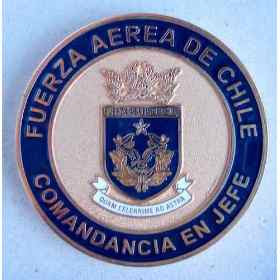 In Chile the CEFAA (Comité de Estudios de Fenómenos Aéreos Anómalos) led by Gen. Ricardo Bermudez (Ret.) and General Luis Henriquez (Ret.) strove for mutual cooperation between researchers and the military. The reality is that there's been very little progress in deciphering the large number of UFO cases in this country. It should be added, at this point, that there has been a great decline in the phenomenon since December 2004. Perhaps one of the causes for this have been grotesque photos of alleged ET s and similar elements that have made the phenomenon disreputable in Chile. As of mid-2009, there has been an increase in sightings in many parts of the world. At this point, it should be noted that journalist Patricio Abusleme has taken on the Valdés Case as a personal challenge. He has visited the place where the events took place in the company of Corporal Valdés himself, and has unraveled some myths that had emerged around the case, and we only have to wait for this project to be published in the near future, and hopefully the information will be available to more than just a few. In the meantime, we are still waiting for a book by Corporal – now a civilian – Armando Valdés Garrido. The purpose of the foregoing is to illustrate the environment in which the UFO community exists with its eternal arguments. We can only believe that there “is no real conviction about reaching the end of the so-called UFO phenomenon” and everything else is superfluous and is only fodder for the press, and used by others to promote themselves on TV screens and other media outlets. Who’s to blame for all this? Shared responsibility. Moreover when the subject of ufology worldwide is in the hands of non-specialized communication media and people who are unprepared for a real study of the phenomenon. If we add to this the almost non-existent budget available for such projects, little can be asked from it, much less transparency in actions of this sort. These projects are generally hobbled from the start, and only the enthusiasm and passion of some people leads to small achievements in very specific matters. Finally, we must remember that the CEFAA (Comité de Estudios de Fenómenos Aéreos Anómalos) announced its return to the scene in December 2009. Given its prior performance, this announcement did not inspire much confidence in the national UFO community. One always must expect second efforts to be better than the first, particularly from errors committed along the way. Only time will tell.